In 1991, faulty computer instructions caused a massive shutdown of phone systems in several major cities in the U.S., including Washington DC, Pittsburgh, Los Angeles, and San Francisco. The instructions were part of a revised version of software that was not tested fully because the changes were considered too small. 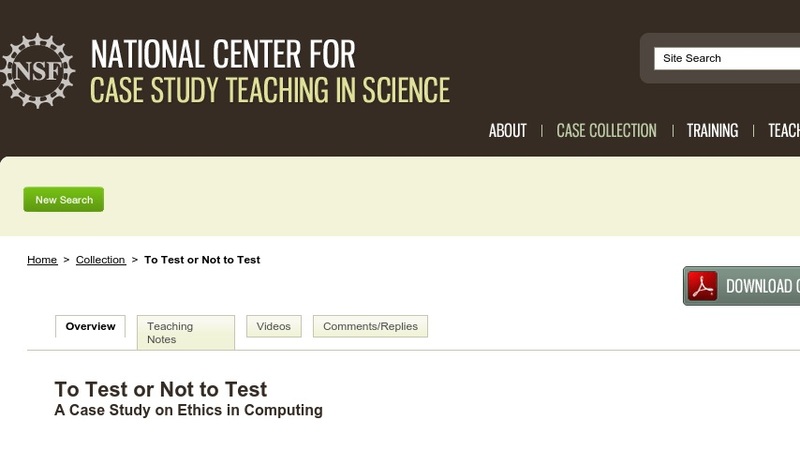 Developed as part of the ethics module for a computer science course for non-majors, this case emphasizes good software development techniques, including full compliance with the rules.